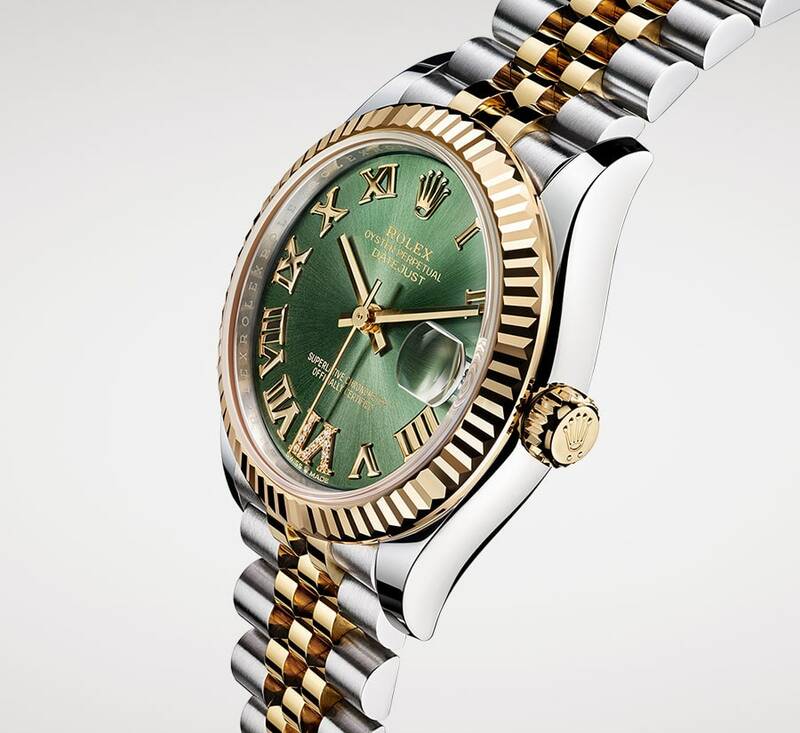 Arguably the most hyped brand at Basel world, the brand that receives the most attention, and the brand that most people are curious to see the novelties from is Rolex. 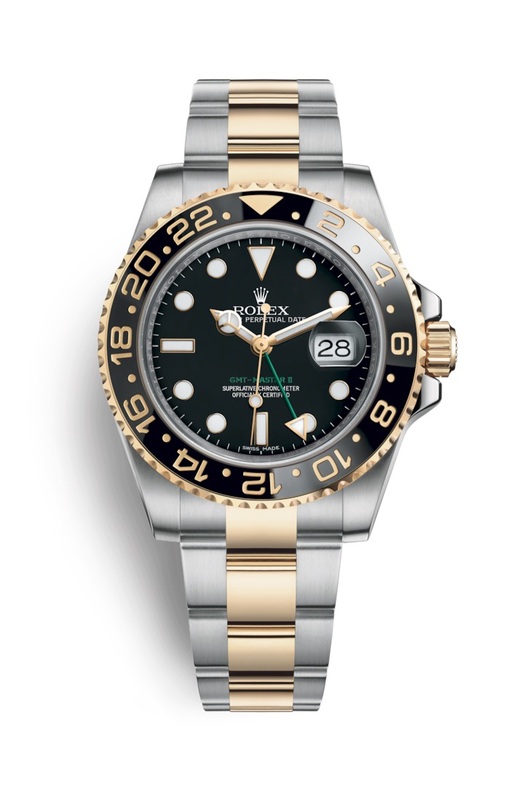 And what makes it even more exciting is that Rolex is very good at keeping their watches a secret, until they release them. 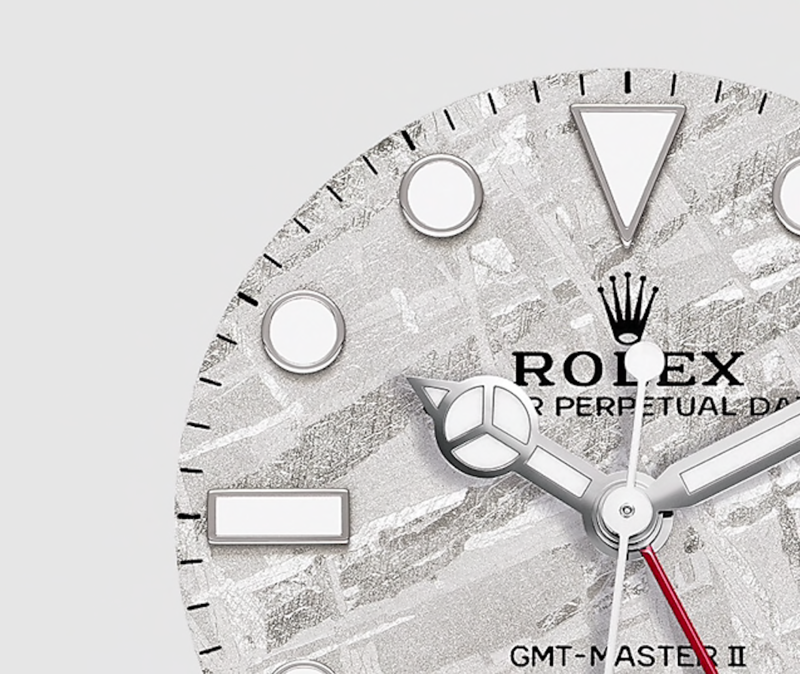 This contributes to the anticipation of Rolex’s releases. 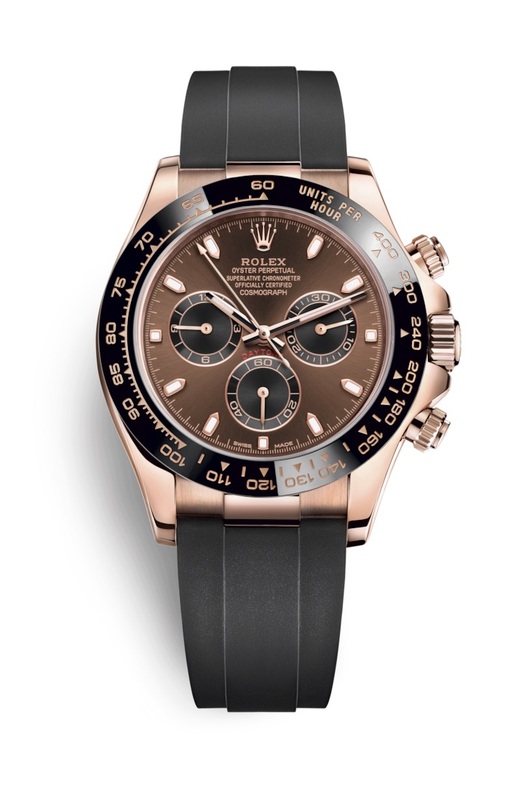 But now, the time has finally come for Rolex Basel World 2019, and Rolex has finally announced their novelties. 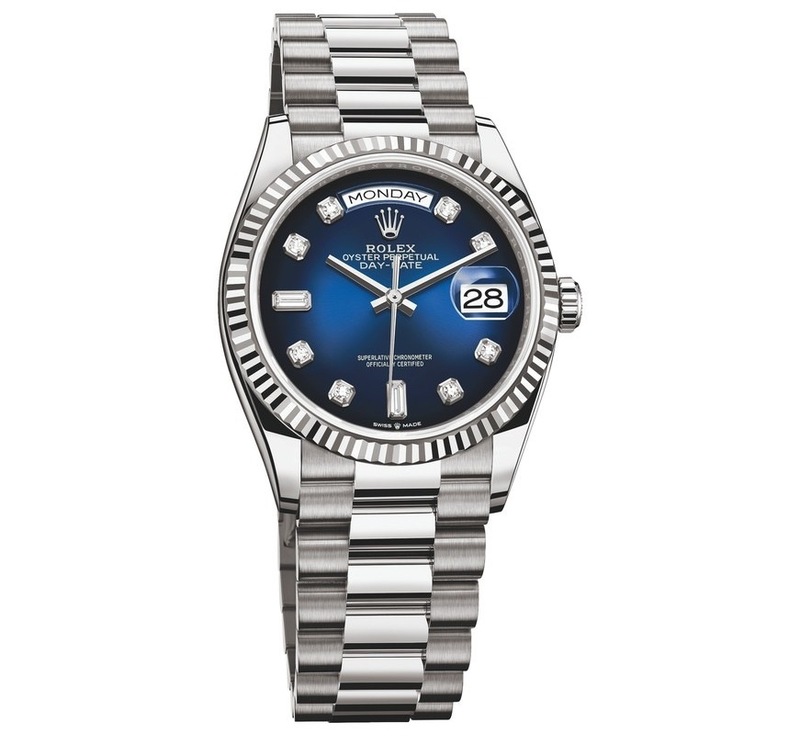 In this article, we share all Rolex Basel releases 2019. 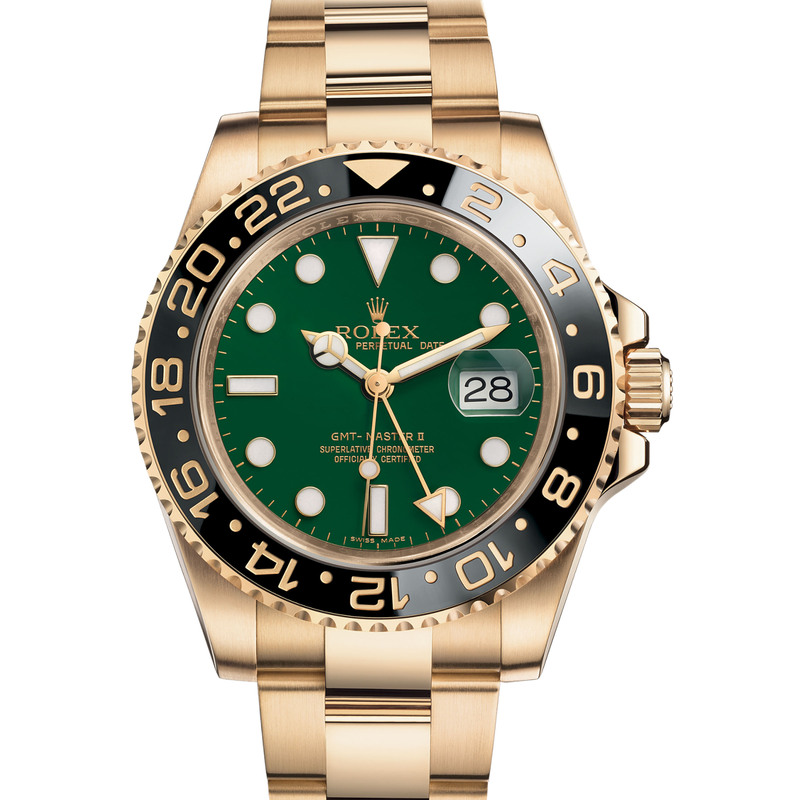 At each Basel world, we can only suspect what Rolex is about to release. 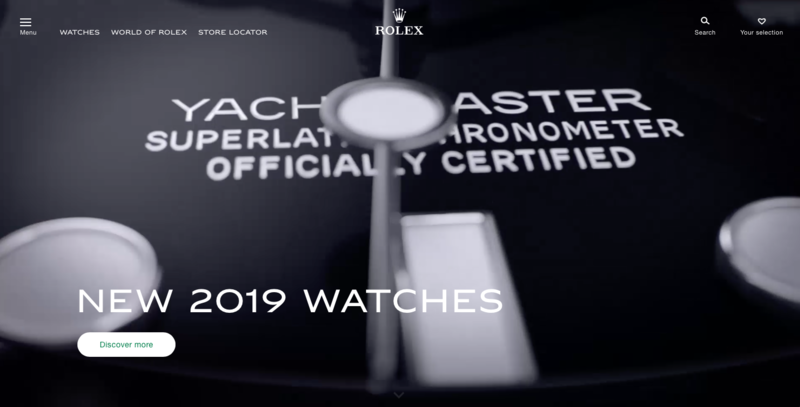 Unlike other brands, Rolex only release a few teasers before the event, and those teasers give us nothing more than an indication of what a new watch could potentially be. 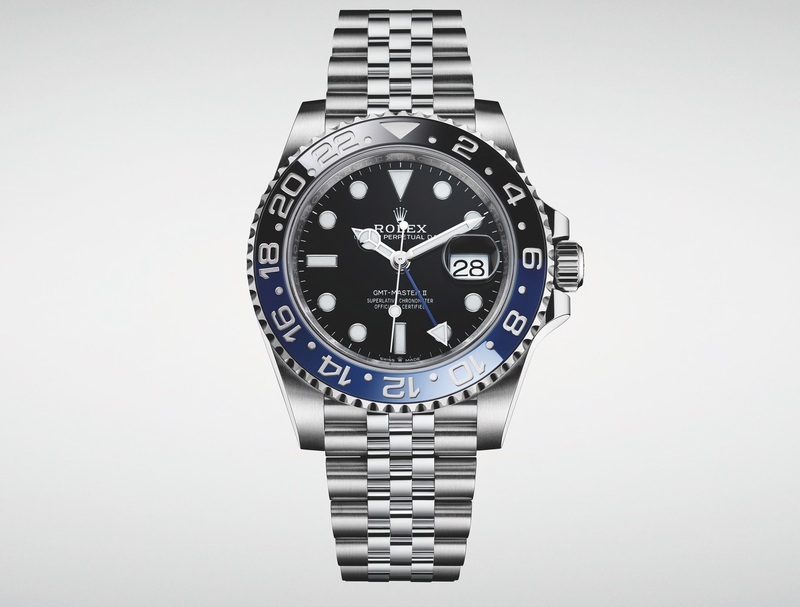 Furthermore, before each Basel, people start making renderings of Rolex models that they wish to see, or Rolex models that there is a chance that we’ll see. 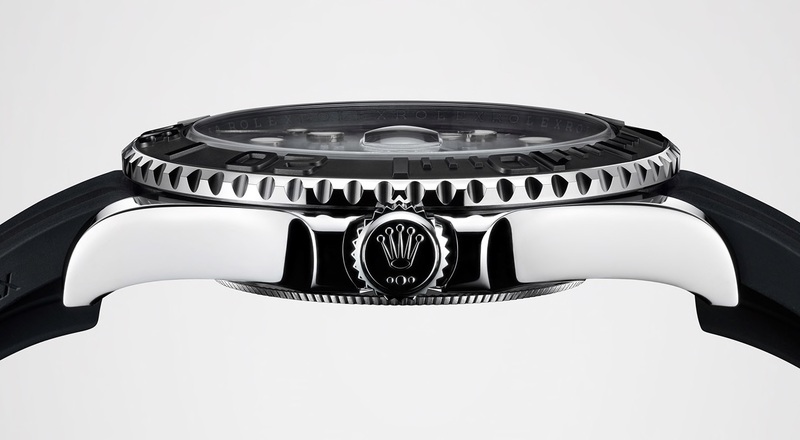 Of course, most of the renderings don’t become a reality, however, over the years, some of the renderings have actually proven to become reality when Rolex release their new Basel novelties. 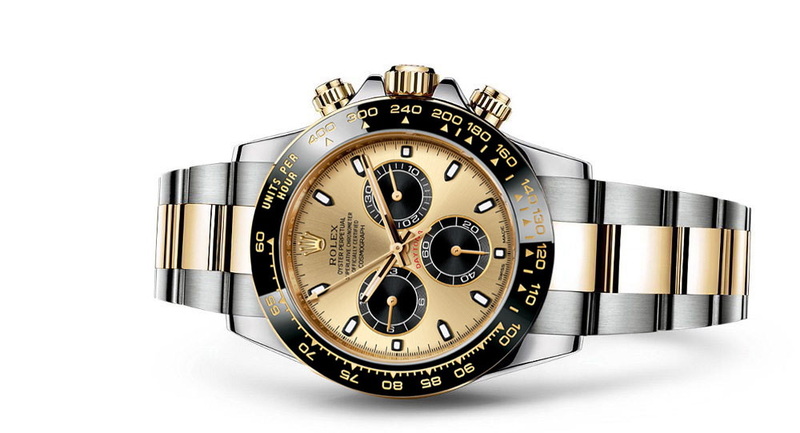 Rolex did, in fact, release the 116518LN, and while Rolex didn’t release it on an Oyster bracelet, it was quite close still. 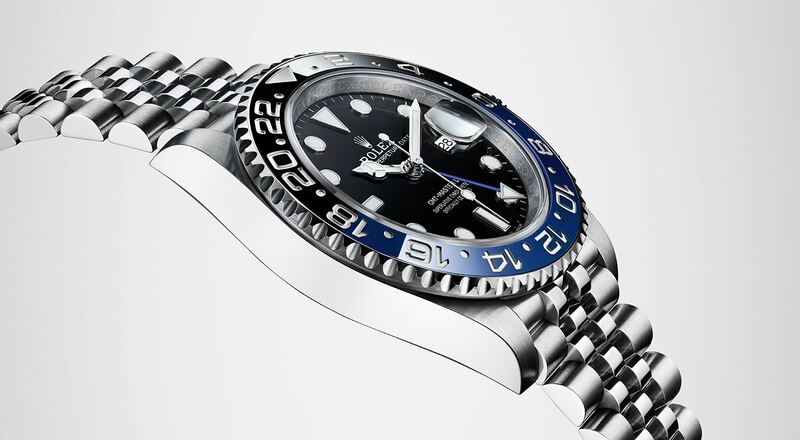 A first for the Yacht-Master model. 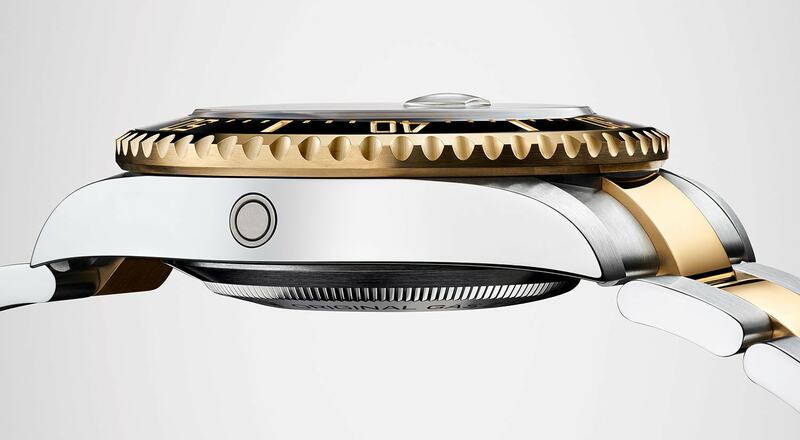 42mm case. 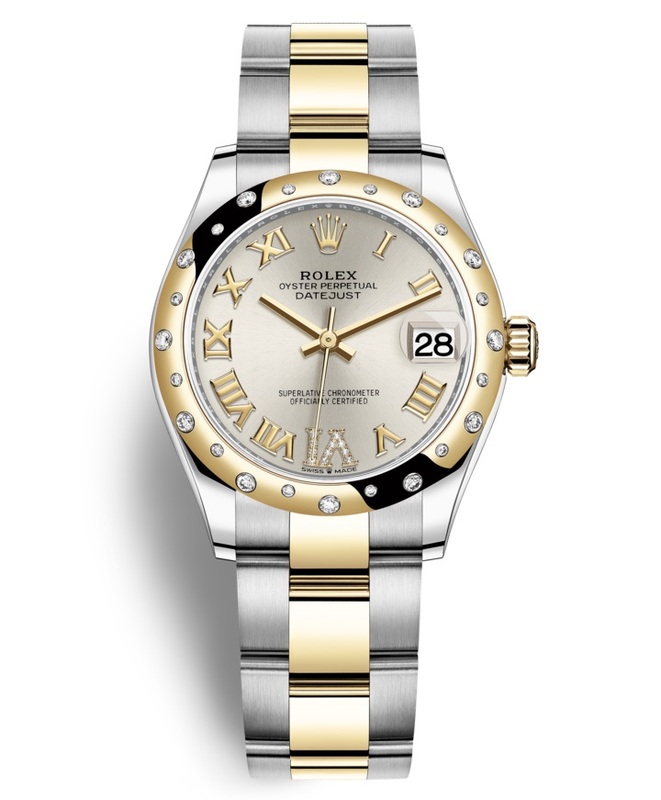 Made in 18K white gold. 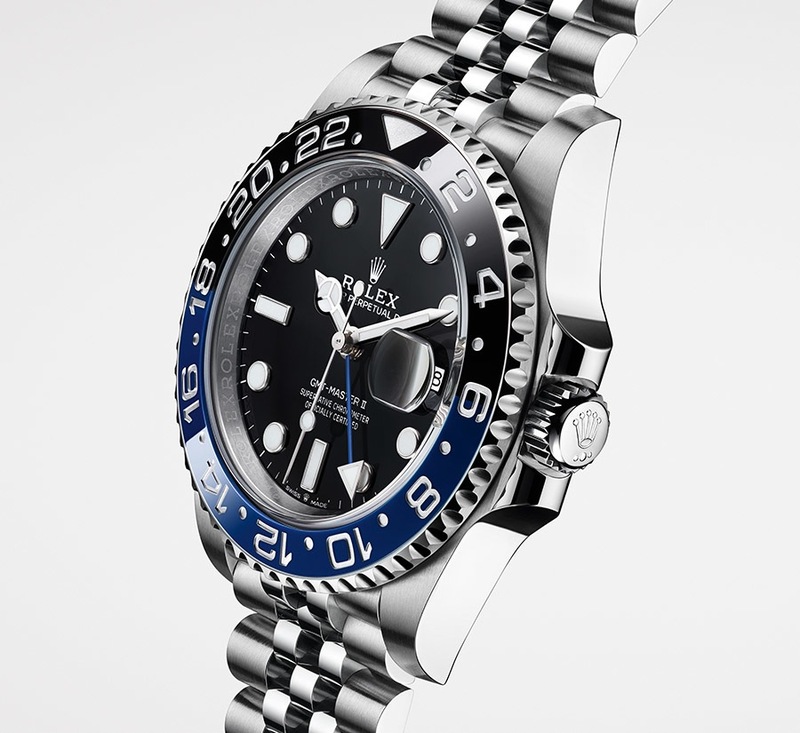 “Rolex is presenting a new version of the Oyster Perpetual GMT‑Master II with a bidirectional rotatable bezel and a two-colour 24-hour graduated Cerachrom insert in blue and black ceramic.” Just like the Rolex GMT-Master II “Pepsi” reference 126710BLRO which was released in 2018 at Basel World, Rolex has now made the GMT with a blue and black bezel with a jubilee bracelet. 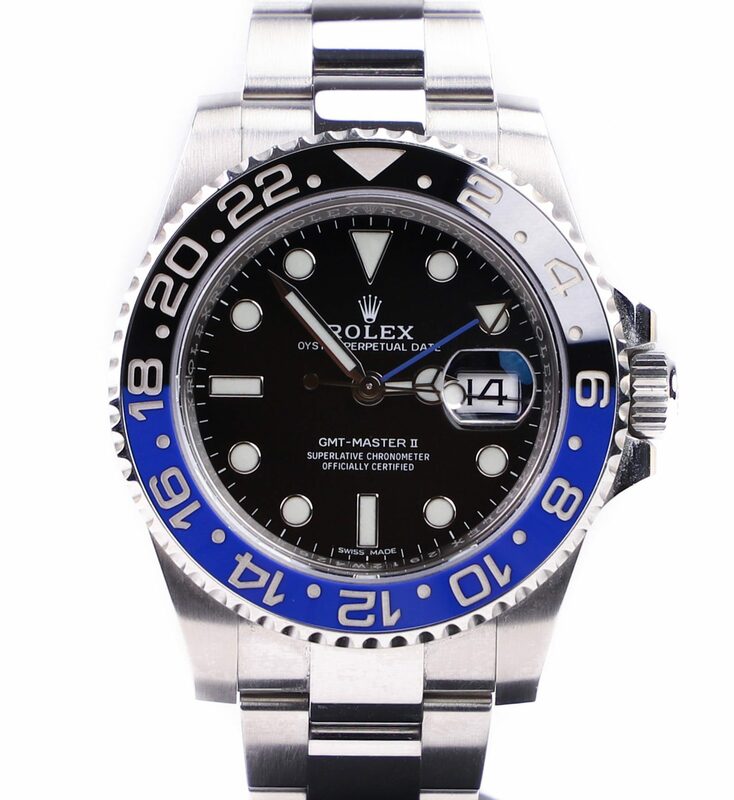 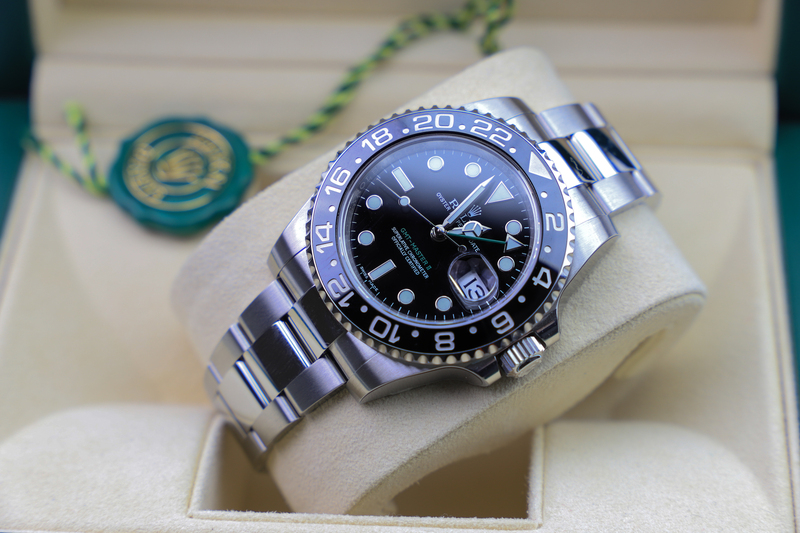 As a result, the 116710BLNR with an Oyster bracelet has now become discontinued. 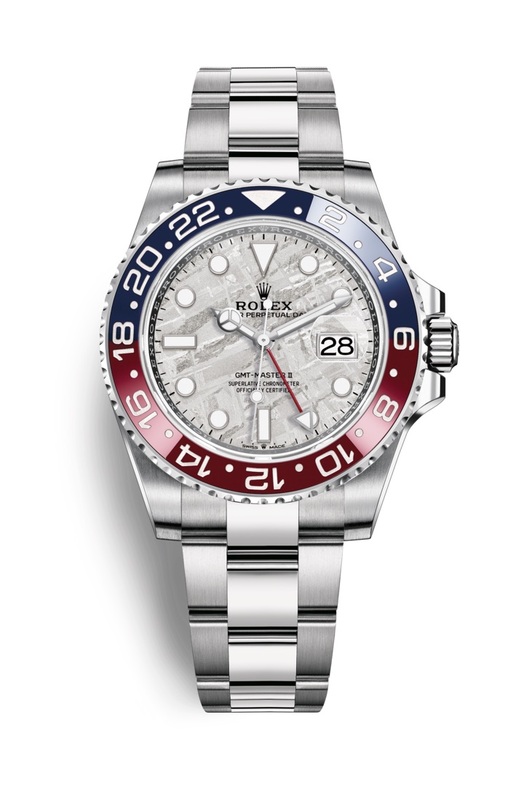 Rolex has built on top of the existing white gold “Pepsi” GMT-master and added a meteorite dial to further enhance its appearance and make it more exclusive. 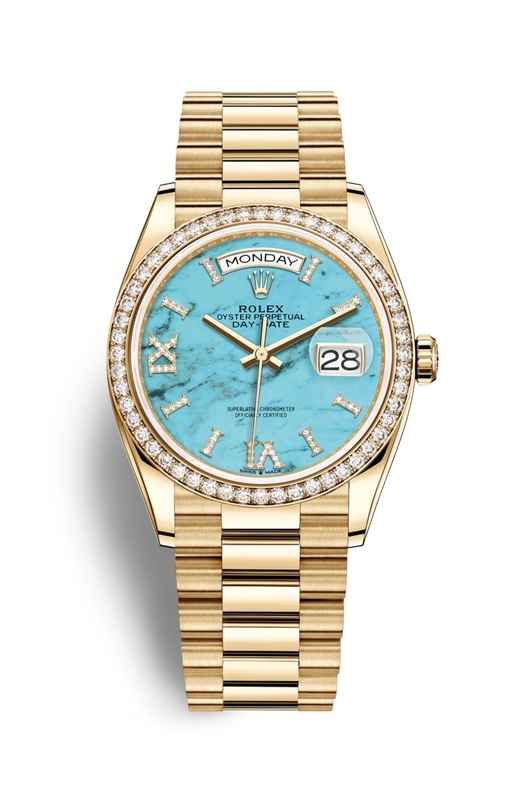 Turquoise marble dial with 18k yellow gold & President bracelet. 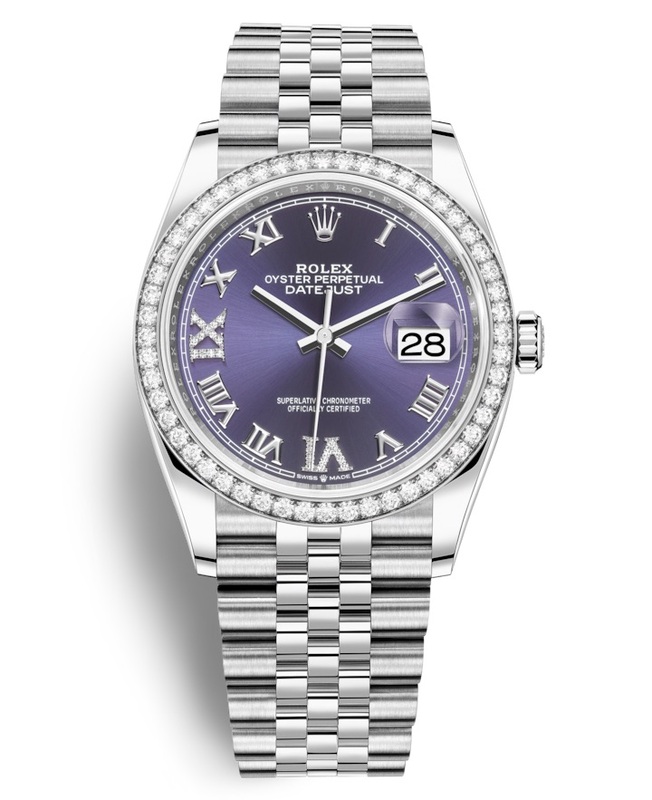 Blue “fumé” dial with diamonds indices. 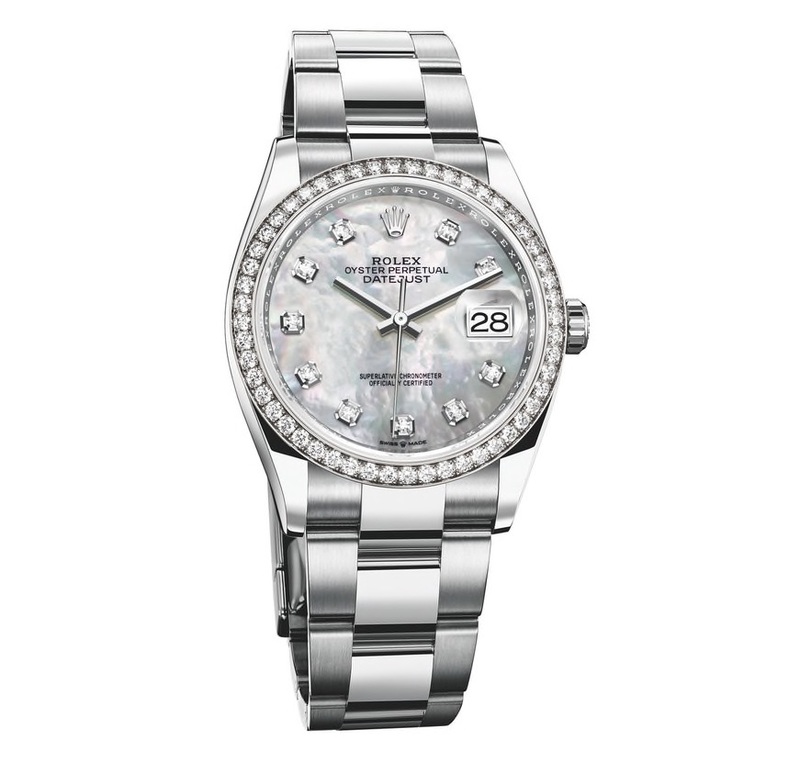 Watch made in 18K white gold. 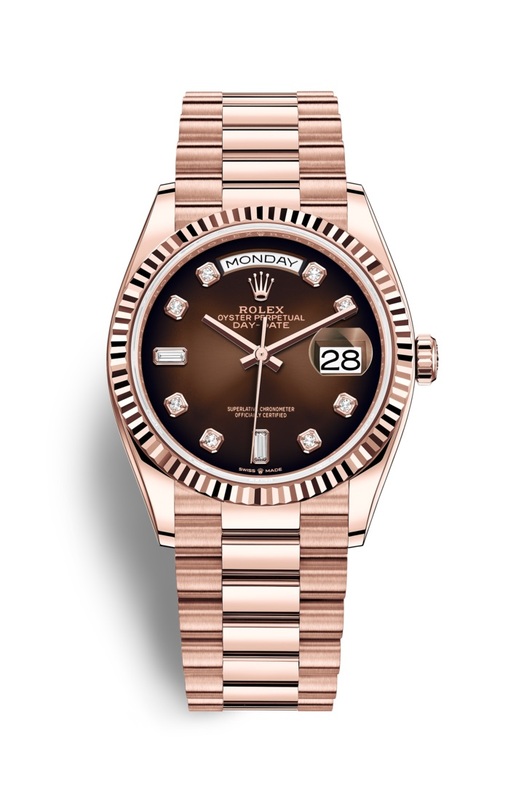 Brown “fumé” dial with 18K Everose case and with diamond indices. 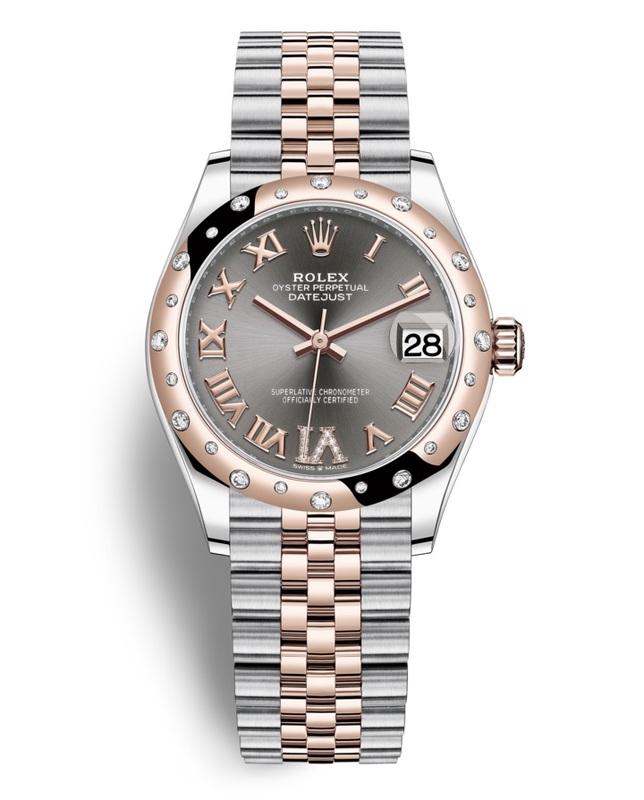 Previously, this model was only available in white gold or yellow gold. 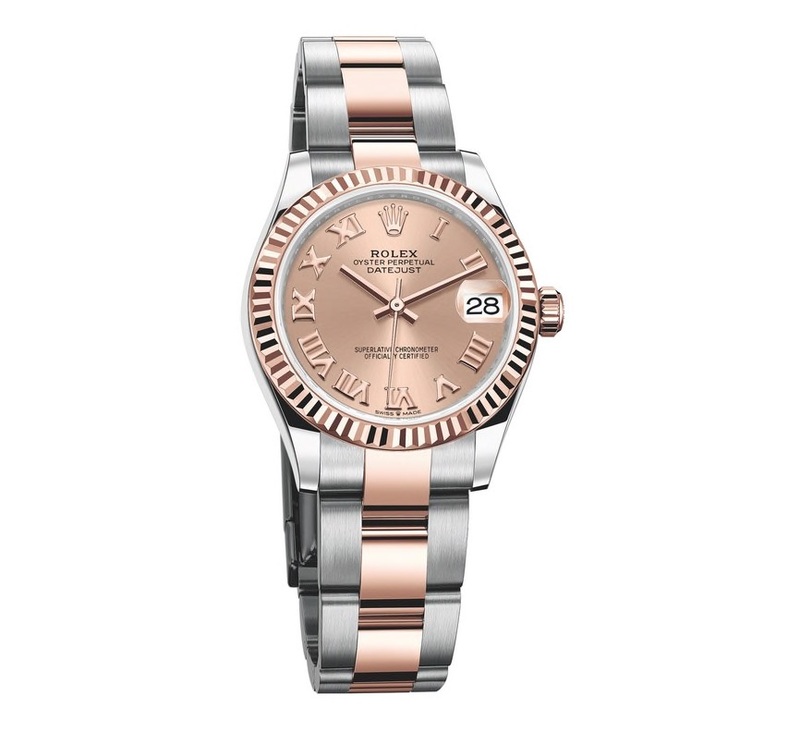 Now also available in 18K Everose gold. 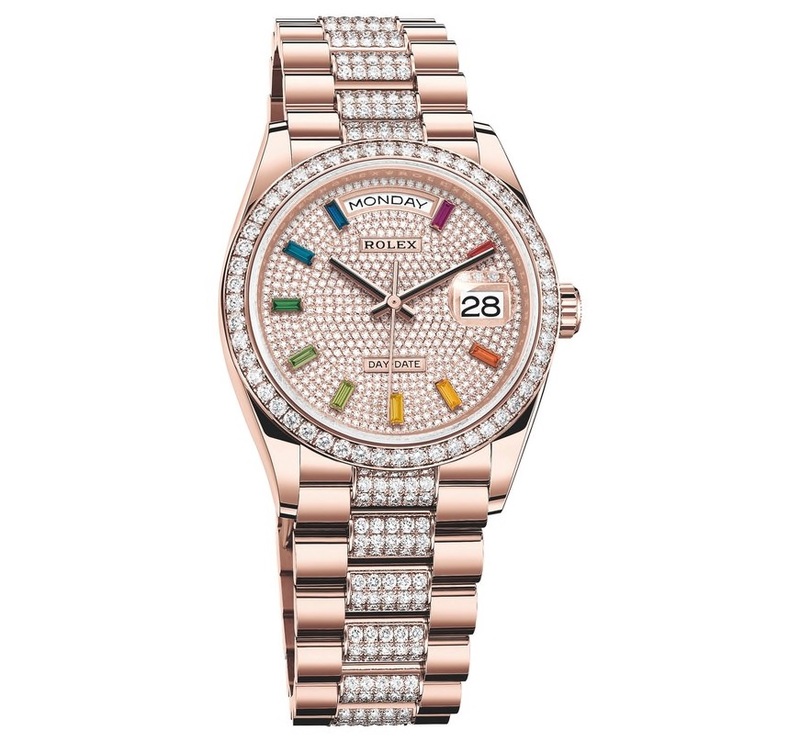 Full diamond dial with “rainbow” indices and 18K Everose gold case and bracelet. 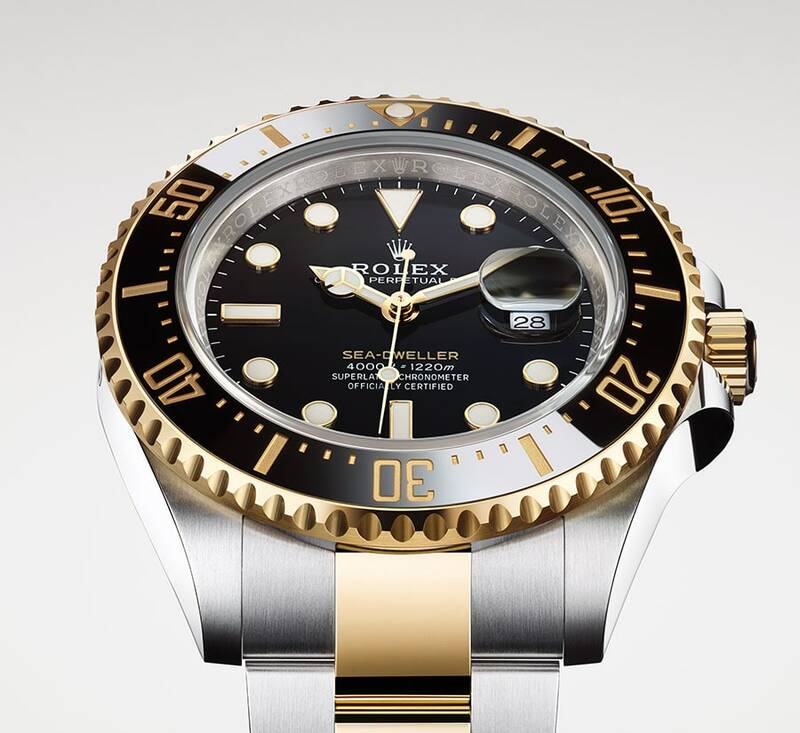 “Rolex is introducing an Oyster Perpetual Sea‑Dweller in a yellow Rolesor version, combining Oystersteel and 18 ct yellow gold. 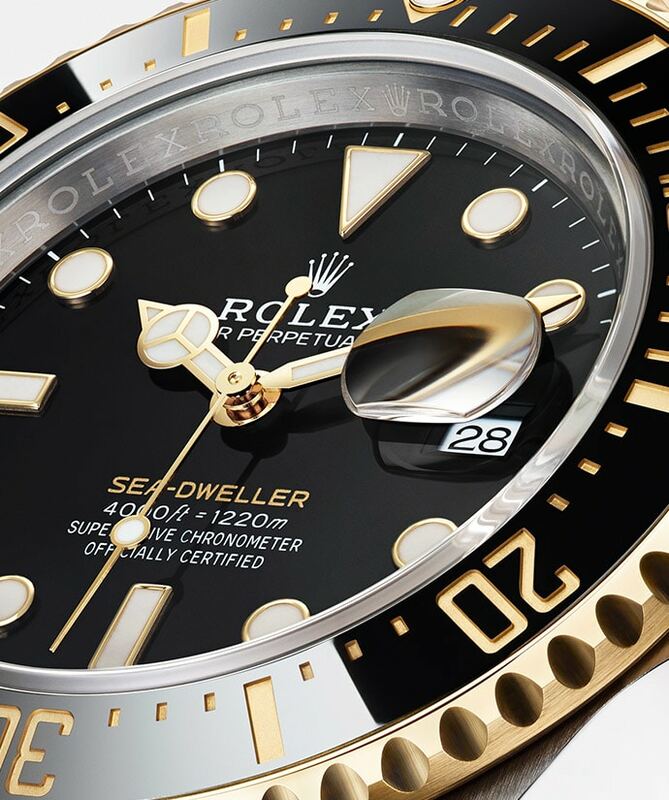 This new watch brings 18 ct yellow gold to the Sea‑Dweller range for the first time.” Rolex has built on the existing 42mm Sea-Dweller and made it in two-tone steel and yellow gold. 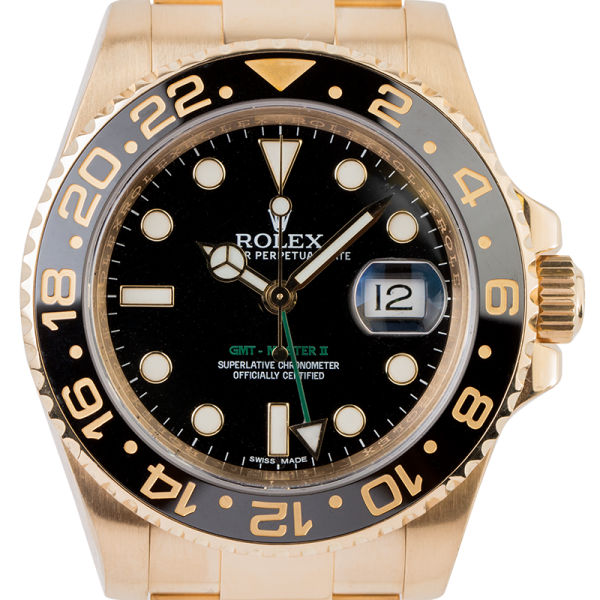 The Sea-Dweller print has also been made in yellow gold color. 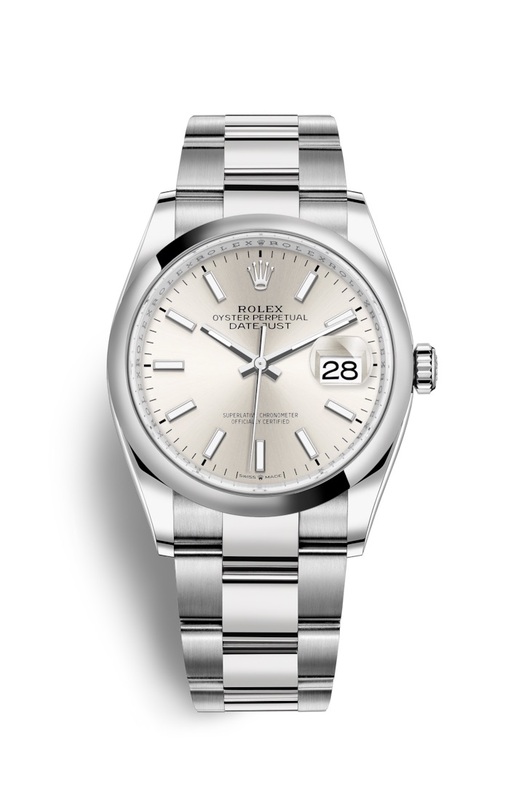 “Rolex is introducing two new variants of the Oyster Perpetual Datejust 36 – both white Rolesor versions (combining Oystersteel and 18 ct white gold).” All 36mm Rolex Datejust models released at Basel 2019 are equipped with the new and updated caliber 3235. 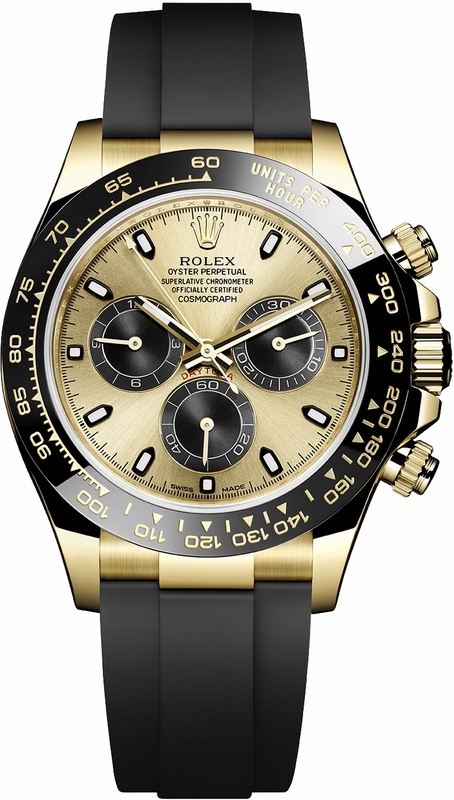 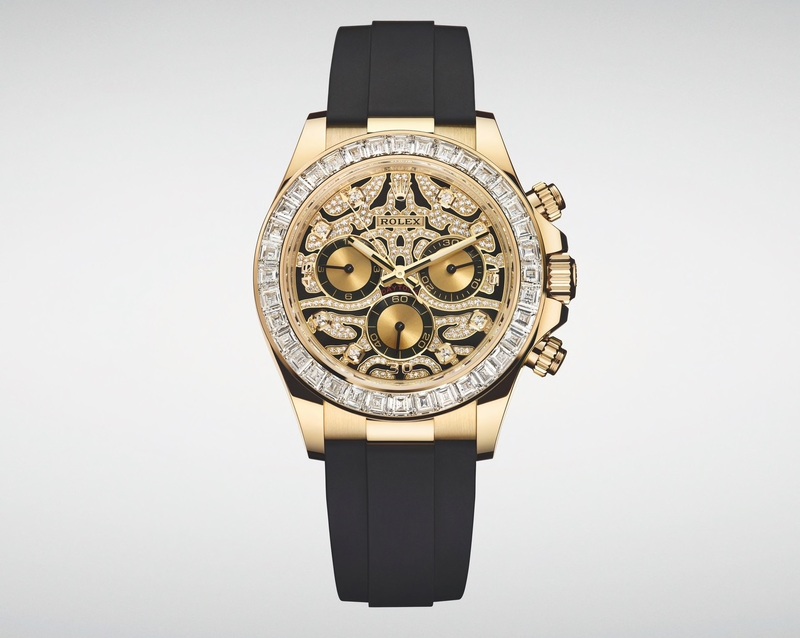 New Rolex Daytona Basel 2019 yellow gold case, equipped with en Oysterflex bracelet and diamond dial and indices creating a unique shape. 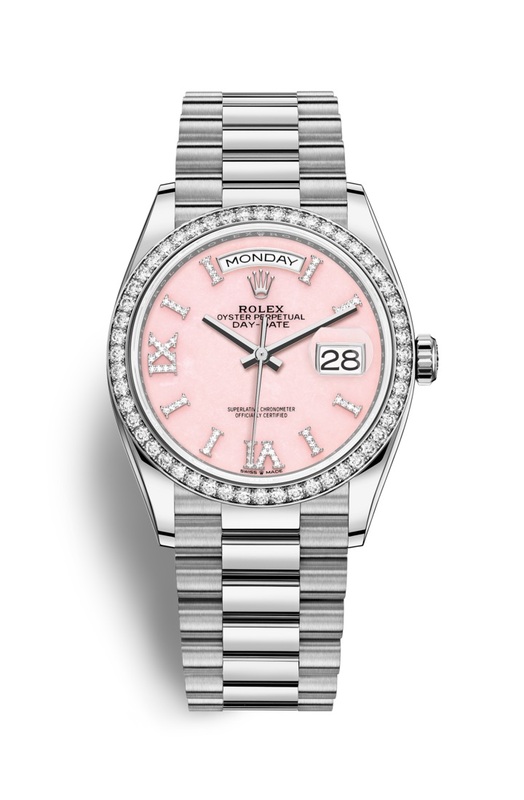 Last year, Rolex updated the movement for all 41mm Datejust watches. 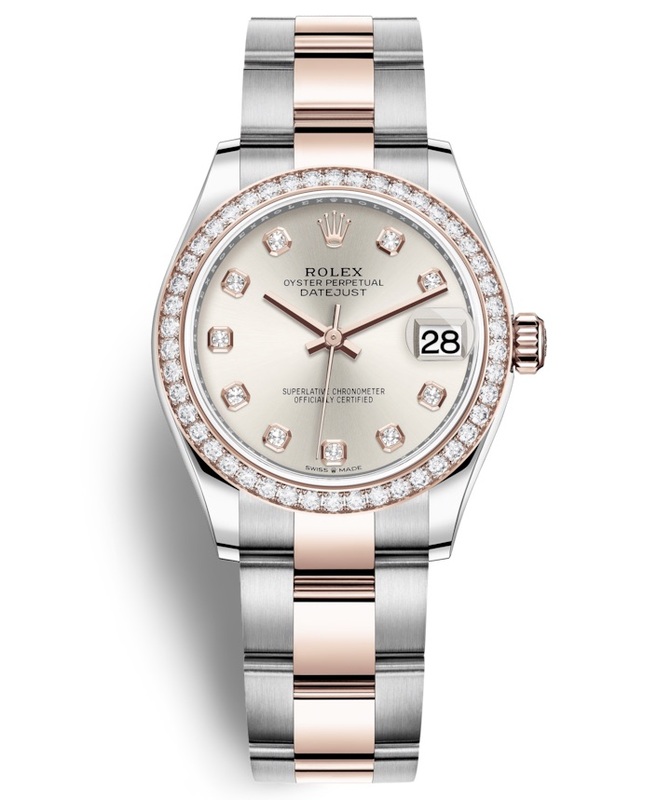 Rolex changed from the caliber 3135 to the 3235, and on this year’s Basel world, it was the 36mm Datejust’s turn. 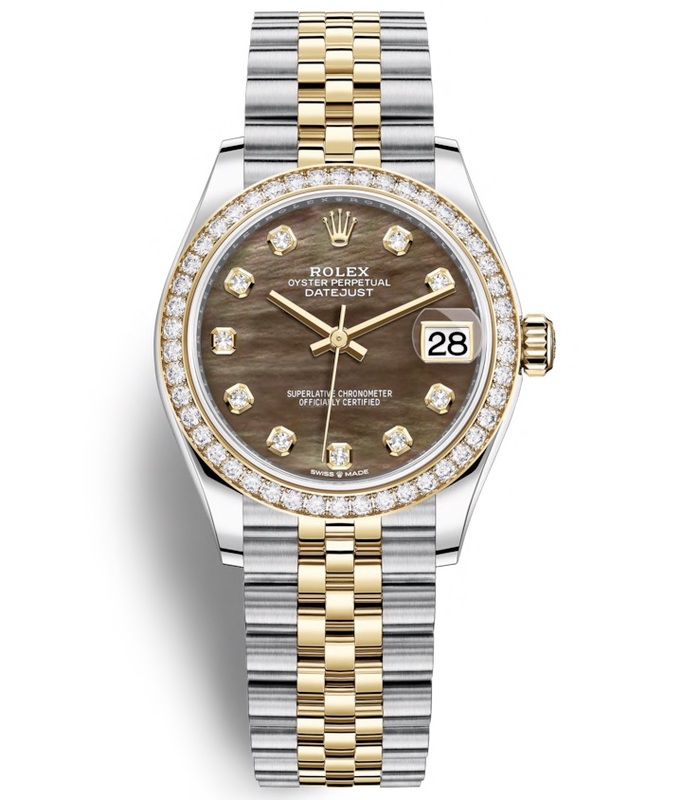 All 36mm Datejust models now come with the 3235 movement, and as a result, all 36mm Rolex have gotten a new reference number. 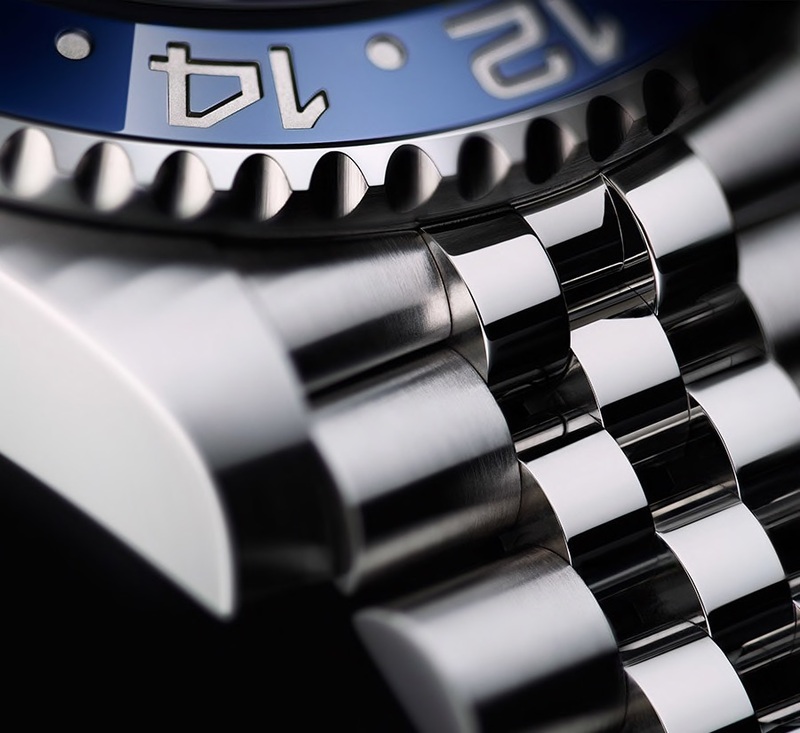 Instead of beginning with “11”, the reference numbers now start with “12”, to show that it is equipped with the second-generation movement. 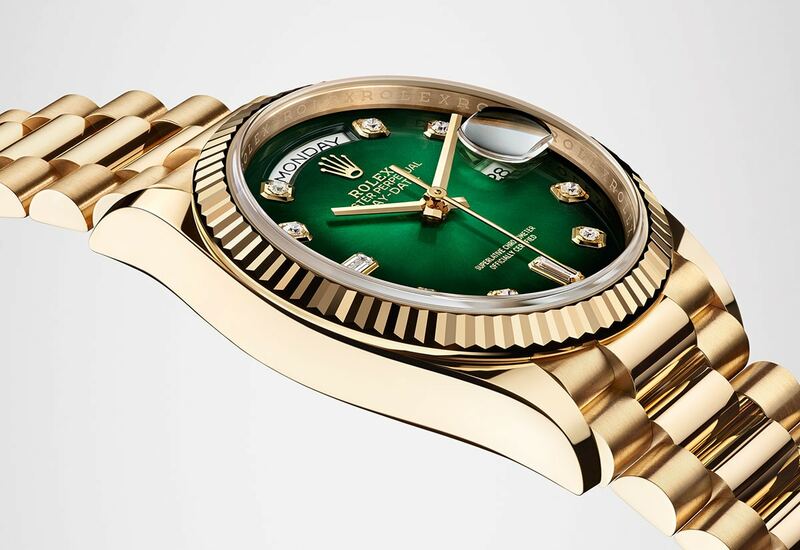 Like every year, Rolex has discontinued some models at Basel 2019, many times in favor of new variants and new models. 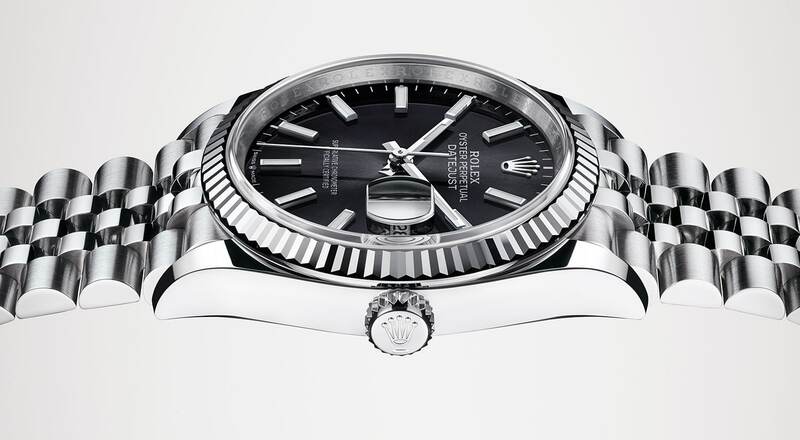 The Rolex Basel world 2019 novelties have just been released, and therefore, the information about them is limited. 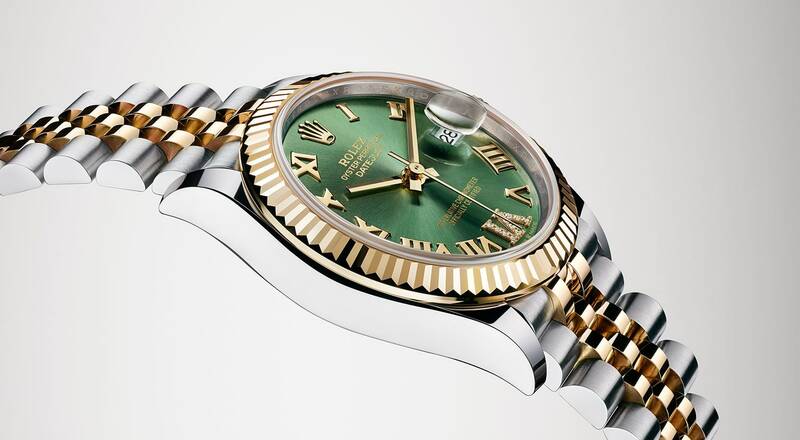 The article will continuously be updated with new photos and information as more information is shared about these 2019 Rolex novelties. 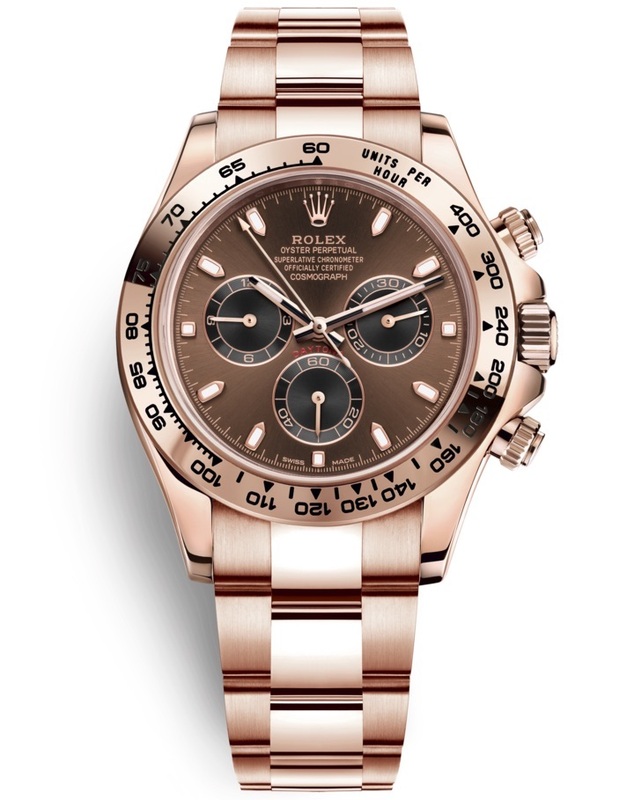 All photos are ©Alain Costa & Rolex SA.